Ever wondered how the staple food of Asian countries is being processed? Get to know the method of rice paddy cultivation in the balmy heart of Hanoi, Vietnam. Complete with farming clothing and the necessary things to bring, you get to enjoy this tour that allows you to learn the tips and tricks on how to cultivate rice paddy using the cow plough. Besides that, there are activities lined up for you to savour the beauty of Hanoi’s sprawled paddy fields such as bicycle rides and a sumptuous lunch with the rest of the farmers. 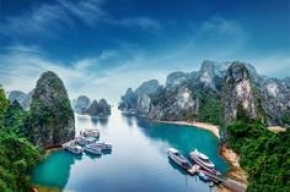 Here’s a unique travel endeavour for you, and it’s right here in Hanoi.